Keri's unique combination of management and training skills combined with a 1st class contemporary arts degree has led to a developing body of work that is both innovative and popular to new audiences. Keri has studied game structure extensively using it as a method to ensure that the audience experience sits at the heart of her work. The Sorrowful Stag is Keri's first Arts Council funded event following on from working closely with BAFTA nominated Blast Theory at HOME in Manchester. Keri began developing community led, participatory events for isolated families during her studies. She evolved and delivered a body of creative, outdoor play workshops for families in her immediate community called Guerrilla Play, in partnership with local community services. This evolved into Guerilla Play UCLan: a participatory performance and game involving seventy-plus student participants aged between 18 and 33. Delivered on 2015 General Election polling day, this show pertinently explored democracy. Her most recent project, Join Me, was created in collaboration with the refugee community accessing services through the St Augustine’s Centre, Halifax. Keri worked directly with refugee participants throughout the project and the resulting film explores the refugee’s journey and their reasons for coming to the UK. The film was used during a performance in which audiences were asked to consider and respond to the refugees’ stories. Sonya is a performance artist regularly working as a singer, director, writer and project developer. Originally from Northern Ireland, Sonya studied at Manchester Metropolitan University School of Theatre and enjoyed additional training experiences with Teatr Piesn Kozla (Poland) under Gregorz Bral and Christopher Sivertsen, Meyerhold’s Biomechanics with Gennadi Bogdanov. In recent years Sonya has partaken in immersive training residencies with John Fox and Sue Gill and award-winning performance artist, Bryony Kimmings. In 2017, she was selected for an “Observer Monday’s” experience at Manchester’s Royal Exchange Theatre and as a delegate from The Independent Street Artists Network to attend Fresh Streets #2, a European Street Arts Conference hosted by Circostrada in Santa Maria de Feira, Portugal. 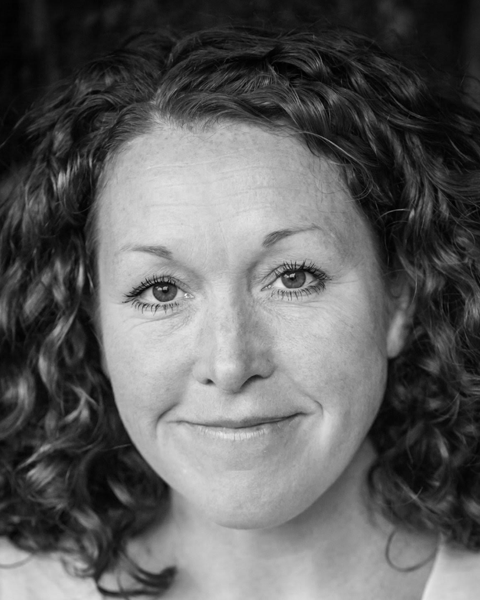 Nicola studied at the Arden School of Theatre, Manchester and has worked as an actor, nationally and internationally, for 17 years. Nicola has been a devising artist and performer in several ACE funded projects including The Dolly Birds, That Day It Came and the award winning The Trudy and Judy Show. Further credits include: Elbow in Measure for Measure. Emelia in Othello. Mrs Dogberry/Margaret in Much ado about Nothing. Alice in Wonderland - In the park Productions. Much Ado About Nothing -Viennas English Theatre S.H.A.G.G. and Waiting for Ga Ga (Real Life for JB Shorts Manchester) and Women at Contact Theatre (Shred Productions). Garth is a clown, regularly performing a variety on the cabaret circuit. He trained extensively with former 'Workcenter of Jerzy Grotowski' Associate Actor, Director and Pedagogue, Gey Pin Ang, working on R.D.Laing’s abstract prose poem The Bird of Paradise. In March 2016, Garth and director Benedict Power ,developed this into Dr. Doctor & The Bird of Paradise. This work was shared at The Lowry with further support from The Royal Exchange and Garth will continue it's research and development into 2018. Garth is also well known on the outdoor arts circuit as a performer, working across the UK and Europe, with various companies and his own street theatre shows Mariacho0 and Watch the Birdie. Garth regularly works as a photographer and filmmaker under the name Safetycatch Productions, specialising in the creation of promotional photo and video materials for theatre companies and productions.